We visited this site on May 25, 2013. It is one of the many localities features on the The UK Fossils Network website. The site is located a bit north out of Stoke but the access is from the village of Stoke St. Michael. 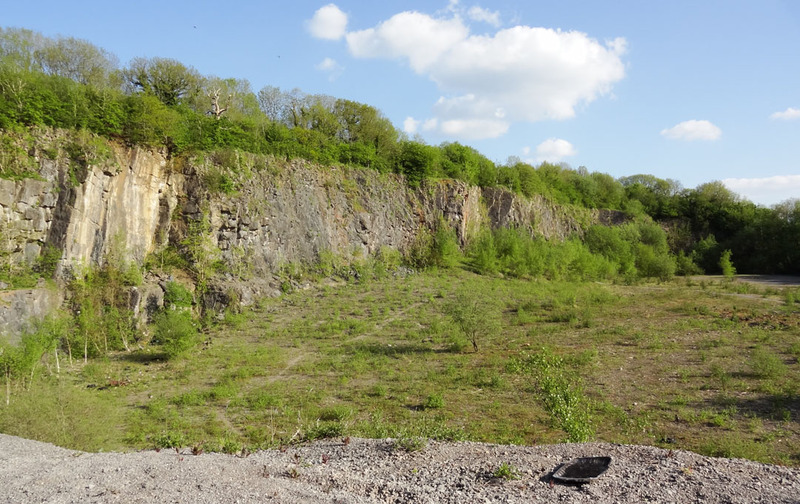 The walk down the footpath into the quarry is very pleasant and gently sloped. Watch for the stream that parallels the path disappears into a cave about 1/4 mile from Stoke. 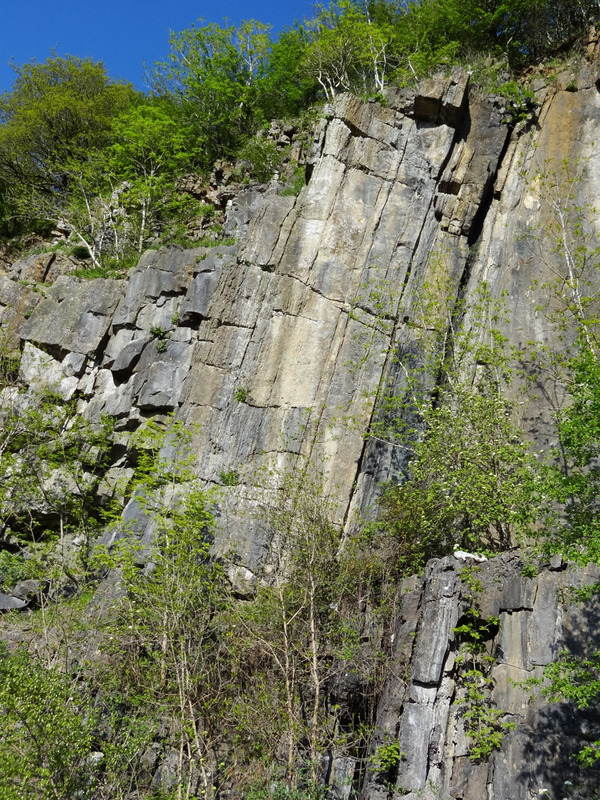 The strata visible in the quarry faces is tilted nearly vertical. I saw no obvious fossiliferous layers. 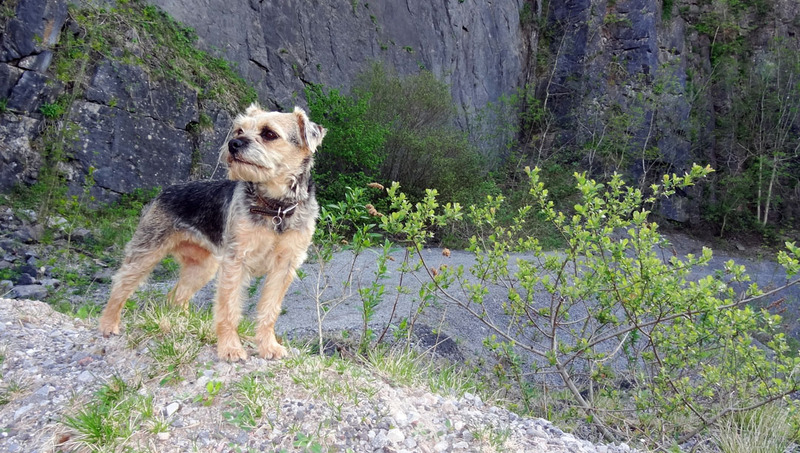 Gertie accompanied us on this jaunt. I found only this one fossil. 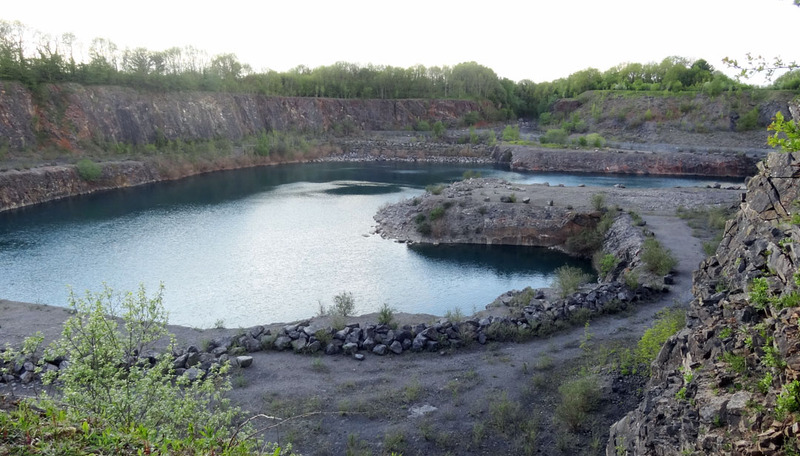 There is another quarry just to the east called the Cook's Wood Quarry. 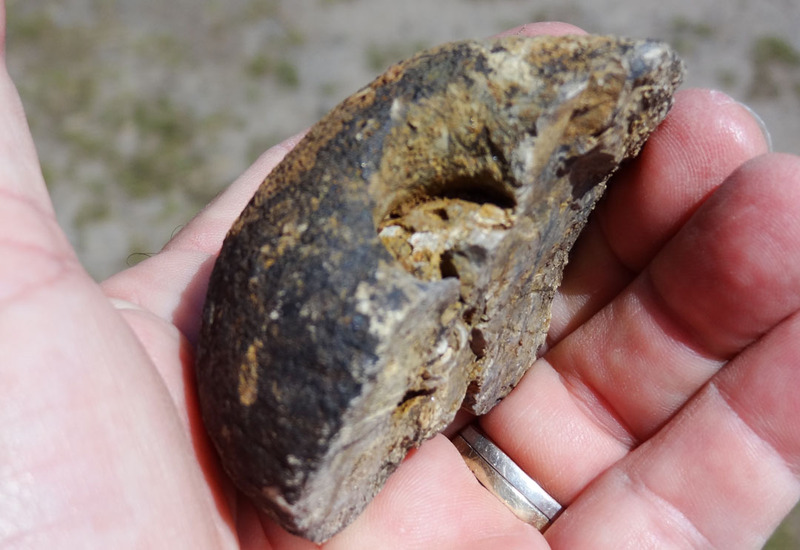 It too, is slim pickings but I did find an interesting gastropod atop the quarry.